We are always looking for new and innovative ways to harness technology, and the industry of farming is no exception. A blueberry farm in Oregon was having big problems with birds stealing up to 25% of their crops and this year, they addressed the problem using a somewhat unconventional new technology. At the start of the blueberry growing season, the farm installed 6 Agrilaser Autonomics—automated laser guns which are mounted on a pedestal. 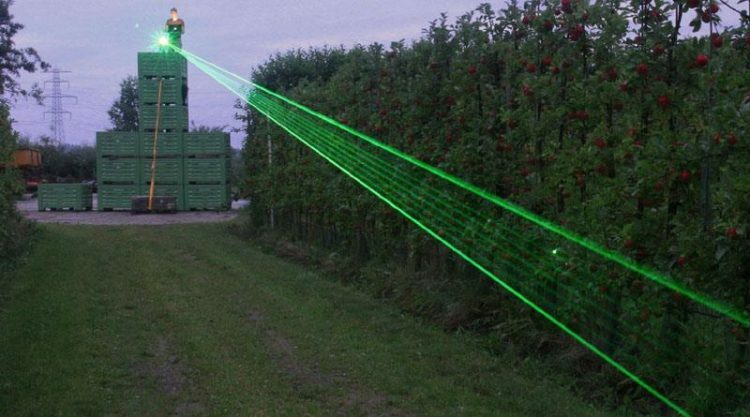 These laser guns shoot a steady green laser beam across the bushes. The birds seem to mistake the laser for an incoming predator, and will immediately flee whenever the laser comes close to them.